If you are serious about advancing your career in the cybersecurity industry or want to move from a tech-related over to cybersecurity, you need to have relevant certifications on your resum?. Which ones? Let us show you. Over the last few years, we have seen a year-on-year increase in instances of cybercrime and security breaches targeting everything from large corporations to individuals such as us and regular users. This trend is set to continue as cybercrime grows exponentially and the cybersecurity skills gap widens. In the U.S. alone, there are thousands of cybersecurity jobs currently vacant. The tech companies have set the goal as to protect themselves against cybersecurity breaches that can be devastating and costly. This is leading to the cybersecurity and infosecurity related hiring to increase rapidly. By 2021, projections estimate that there will be around 500,000 unfilled industry vacancies. Why Get a Cybersecurity Certification? Why? To become an ideal candidate who the companies and employers are looking for! When evaluating potential candidates for cybersecurity and infosec candidates, employers look to certifications as a way of measuring their capabilities. Simply having one or two good certifications under your belt can be enough to get you considered, and possibly hired. That is, if you have some experience under your belt. On this page, we will look at some of the industry’s best cybersecurity certifications—from entry-level certifications to more advanced ones—what they are, what they mean, what they involve, and how to get them. Simply having experience and/or a degree no longer cuts it even you’re from the tech or IT industry. Certifications are effective ways to validate yourself as a candidate, demonstrate your skills, and show prospective employers that you are fit for the job of protecting them and their assets. 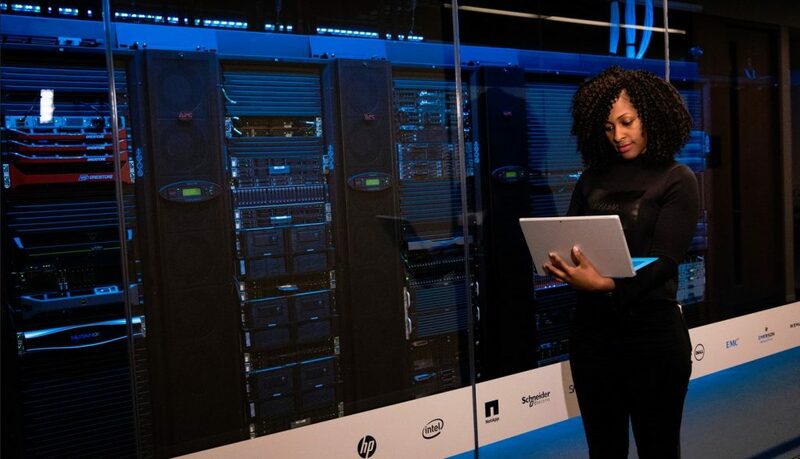 Without further ado, here are the top 5 most in-demand cybersecurity certifications right now in 2019. CompTIA Security+ is one of the most fundamental cybersecurity certifications available anywhere—it provides a basic foundational understanding of key subjects such as vulnerabilities, risk management, and cryptography, among other things. Security+ assumes a basic tech knowledge and that you have had some sort of background in tech. If you are a complete newbie, take a look at CompTIA’s A+ and Network+ courses. With Security+, you will begin to understand the way to properly install, configure, and deploy systems in addition to securing devices, networks, and applications. It is the first security certification that many IT professionals earn. It helps to establish demonstratable core knowledge and skills that any cybersecurity role will demand. Focussing on the latest trends, Security+ covers everything from IT auditing to penetration testing at a junior level with a particular focus on intrusion detection and risk management and mitigation. It also provides a way in for mid-level cybersecurity jobs. At the end of the course, you will also be able to perform threat analysis on these systems and deploy techniques to mitigate threats and vulnerabilities. After finishing Security+, most people work internally within organizations and specialize further by taking additional certifications further down the line. Security+ assumes that you have a background in tech and understand the basics of networking and other IT fundamentals. If you don’t, CompTIA Network+ is a great starting point. The saying goes that you have to learn to walk before you can run, and this is something that applies to the cybersecurity industry. While Network+ is itself not necessary for most jobs in the cybersecurity industry, it provides the basic foundations of knowledge for everything related to networking and how computers and networks communicate with one another. Among other things. Note that it is designed for IT professionals. If you are not an IT professional or don’t have a tech background, CompTIA A+ is the best starting point. After completing the CompTIA Network+ course, many doors are opened to entry-level IT roles. It provides the perfect foundation for you to delve deeper into the cybersecurity industry by starting in an entry-level job or taking additional certifications such as Security+. Moving on to more advanced certifications, CEH is taken by people who want to specialize in a penetration testing (ethical hacking) role. It is not a certification anybody can just dive into, however, as a pre-requisite is that candidates have two years’ experience working in the IT industry before taking the exam. For CEH, having Security+ is highly beneficial for contextual understanding as the goal of CEH is to make you act and think like a hacker in your work so you can prevent attacks against your employer or clients. CEH is taken through the EC-Council. It is a core course that can lead on to other more advanced certifications such as the Certified Security Analyst (CSA) and Licensed Penetration Tester (LPT). Using your own systems, you will go through the hacking lifecycle—recon, gaining access, enumeration, maintaining access, and covering your tracks—so you can learn to think and act like a hacker. The CEH certification is designed to train you on how to identify weaknesses within a network so that they can be fixed. CISSP is an advanced-level certification that is obtained through the International Information System Security Certification Consortium (ISC). In addition to this, you must also go through the endorsement process which requires your agreeance and subscription to the (ISC)2 Code of Ethics and another (ISC)2 certified professional to sign your form as verification of your experience. As a top-level certification aimed at established professionals, CISSP covers advanced topics such as vulnerability management and mitigation in web systems, professional ethics, and advanced cryptography. The course can be taken with specific concentrations depending on the candidate’s experience and specialism, some of these concentrations include engineering and architecture. Another certification offered by the EC-Council is the Licensed Penetration Tester. This is considered an expert-level certification and is designed to separate the experts from the novices in the field of penetration testing. As the EC-Council website says—there are good penetration testers and then there are great penetration testing. On the course, you will cover expert-level cybersecurity concepts such as SSH tunneling, privilege escalation, and multi-level pivoting. Because most organizations hire licensed penetration testers to legally attack and break into their networks to uncover security flaws and loopholes, there is a need for such high-level teaching. The certifications go hand in hand with your existing experience and skillset. They are meant to validate and compliment your current value as a prospective employee. There are many levels where you can start your journey, from the entry-level jobs which will get you experience and exposure in cybersecurity. Similarly, you can also be a valuable addition to the company’s current infosec or cybersecurity team with your certifications and current experience. With the cybersecurity salaries in the industry currently being in good shape across different tech roles; you just need to be disciplined and driven with a clear goal in mind to build a meaningful career. To summarize, the cybersecurity industry has been taking shape and has become a giant part of tech companies. The tech landscape is shifting towards having top-notch security policies and standards throughout tech companies touting to keep their customer’s data safe and secure. And you can be one of the professionals delivering on that premise.